State University of New York Press, 9780791401392, 148pp. Weingrod presents an anthropological study of the development of a new Jewish saint, or zaddik, in Israel and of the annual pilgrimage to his enshrined grave by thousands of North African Jews. 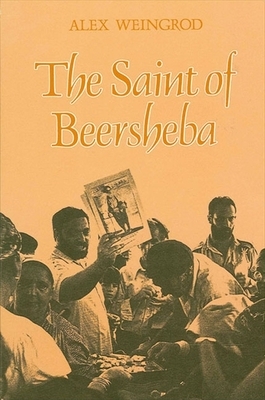 It is the fascinating story of how Rabbi Chayim Chouri, an aged Tunisian rabbi, became famed as the "Saint of Beersheba," after his death in the 1950s. The author focuses upon the meaning of this event in the lives of the participants, and interprets the relevance of mystical-religious traditions to present-day Israeli society, politics, and culture. It includes a photographic essay that brilliantly evokes the joyful events that occur during the ritual and festivity of the pilgrimage. Alex Weingrod is Chilewich Professor of Anthropology at Ben Gurion University of the Negev, Beersheba, Israel.